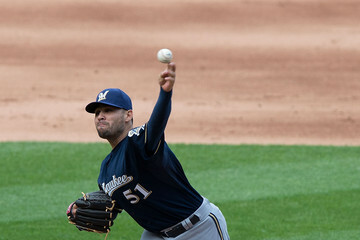 Wisconsin Sports Blog: Who SHOULD the Brewers Move, and Who WILL They Move at the Deadline? Who SHOULD the Brewers Move, and Who WILL They Move at the Deadline? This season has indeed been disappointing to us all as Brewers fans, with a horrible win-loss record and the news of our beloved Ryan Braun out for the remainder of the season due to a PED suspension. But let’s not hang our hats on the season and call it a complete disappointment just yet. Remember last year when many Brewers fan didn’t want to part with Zack Greinke, holding on to a glimmer of hope that the team would be able to retain him in the offseason? Well, had they not traded Greinke, they still would not have signed him (the Dodgers were determined to win that battle) and we would not have the impressive Jean Segura leading our team, and the entire national league, in hits this season. I think that this season can still yield some success for the Brewers, if Doug Melvin can make the right moves and acquire some promising pieces for the future. I like the move that sent Francisco Rodriguez to Baltimore for Nicky Delmonico last week. Giving up K-Rod, a guy that wasn’t even on our roster until mid May, for a top 5 prospect on any other team is a good deal in my eyes. But I think that there are still a few more potential moves that could be made to bring the Brewers some more talent that could benefit the team down the road. Below I take a look at the players that could be on the trading block and whether I think they SHOULD be traded, along with whether I believe they WILL be dealt. Gonzalez was a sought after piece in the offseason after posting an impressive 3.03 ERA in 2012 while allowing just 2 home runs. The Braves were a possible trade partner for Gonzalez but that changed when they acquired left hander Scott Downs from the Angles on Monday. Possible suitors remain however, as plenty of playoff contending teams could benefit from the services of a capable lefty like Gonzalez. The return might not be great, however, given Gonzalez has struggled at times this year and he is only signed through the end of the season. Axford has certainly had his ups and downs the past two seasons, but no one can forget his lights out season in 2011, and he is still a fairly young, capable late inning reliever. After struggling early on in the season, Axford ripped of a streak of 23 consecutive appearances without allowing a run, trying a Brewers franchise record. In addition to the impressive streak, the Ax-Man had his ERA was all the way down to 3.50 before allowing 2 earned runs against the Rockies on Sunday afternoon. I think it would be best for the Brewers to retain Axford to pair with Jim Henderson as the focal point of the bullpen moving forward. I feel that the Brewers should retain Henderson for the same reasons I think Axford needs to stay. He is a capable, fairly young late inning reliever who is signed to an affordable contract and has impressed in the opportunities he’s been given in a Brewers uniform. His ERA currently sits at an impressive 2.09 on the year and he has 12 saves in 15 chances. He is a bit of a feel good story as well, after enduring nearly 10 years in the minor leagues before earning a chance with the crew last season. Unless someone offers something Melvin can’t turn down, I do not think the Brewers will or should explore trade possibilities for Henderson. 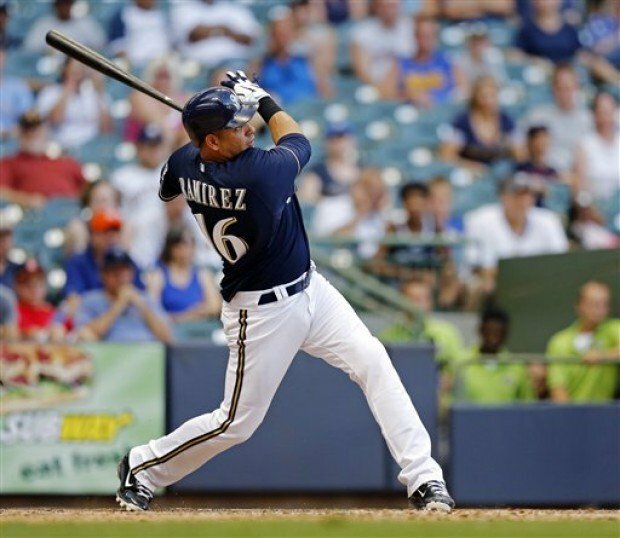 Aramis Ramirez – SHOULD HE BE DEALT? Yes. WILL HE BE DEALT? No. This one is tough. A healthy Ramirez could be a very attractive trade chip for teams looking for a bat capable of driving in runs and a solid glove at third base. The holdup here is that Rammy has only played in a handful of games this season, it seems, and is progressing slowly in his recovery from a banged up left knee. Reports Tuesday morning said he tested the knee during batting practice on Monday, but has no idea when he will be ready to return to the lineup. I am still on the side of the fence saying to trade Ramirez for any valuable piece you can get, because I just don’t see him doing much for the club in the remainder of this season or next year. He will be 36 and in the final year of his contract in 2014, a season in which I don’t much expect the Brewers to be contenders. I think it would be wise of Melvin to try and move him, however I just don’t see it happening at this point. Kyle Lohse – SHOULD HE BE DEALT? Yes. WILL HE BE DEALT? No. I was not a happy camper when I heard that the Brewers signed Lohse to a three year, $33 Million contract on March 25th. I personally didn’t expect the team to contend this season and would have preferred to save the money and retain the first round pick we were forced to give up for signing him. That being said, I think that mistake can be rectified if Melvin can swing him for a prospect or two at the deadline. Lohse will turn 35 before next season but still provides value as a number two or three starter. He is off to a very good start this year, his ERA sitting at 3.22, and has shown no signs of slowing down. Again, I don’t expect the team to contend in 2014, so getting someone of value for Lohse seems like the best option here. However, I don’t see Melvin throwing in the towel just yet on 2014 and I feel that he considers Lohse a valuable piece to the team’s possible success moving forward. I don’t see him moving, unless someone offers a deal Doug can’t turn down. Yovani Gallardo – SHOULD HE BE DEALT? No. WILL HE BE DEALT? No. Gallardo is signed through 2014, on a very team friendly deal considering he is the team’s number one starter. It has been rumored that several teams have been interested in the 27 year old, the Diamondbacks among them. I believe the major holdup here is that Gallardo isn’t pitching to his full potential, at just 8-9 with a 4.88 ERA on the year, and wouldn’t bring the type of return that he is truly worth if Melvin decided to move him. Gallardo has been a Brewer his entire career, and I would like to see him remain a Brewer. I think the best thing to do would be to hold onto Yo at least until his value rises again. I simply do not see Melvin moving him for something less than what he is worth, which is all that he would get at this point. 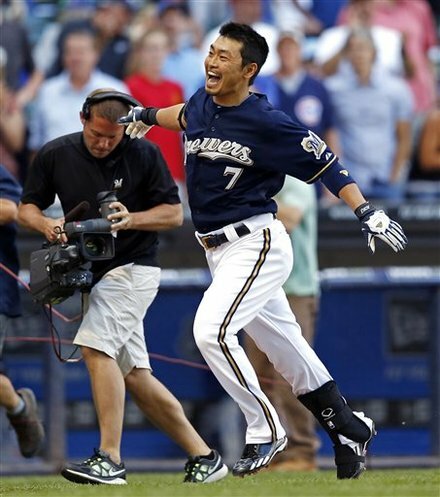 Nori Aoki – SHOULD HE BE DEALT? Yes. WILL HE BE DEALT? No. Everyone loves Nori, myself included, but I really believe that he needs to go. The Brewers have long been out of the running this season and I don’t expect them to be contenders again during Aoki’s contract. He is only signed through 2014 and Logan Schafer is knocking on the door. I think the crew could get good value here and open a spot for a budding star in Schafer. Plenty of teams would love to have Nori’s bat in their lineup and glove in their outfield. I believe Doug would be wise to try his best to move him, however I simply don’t see it happening at this point.